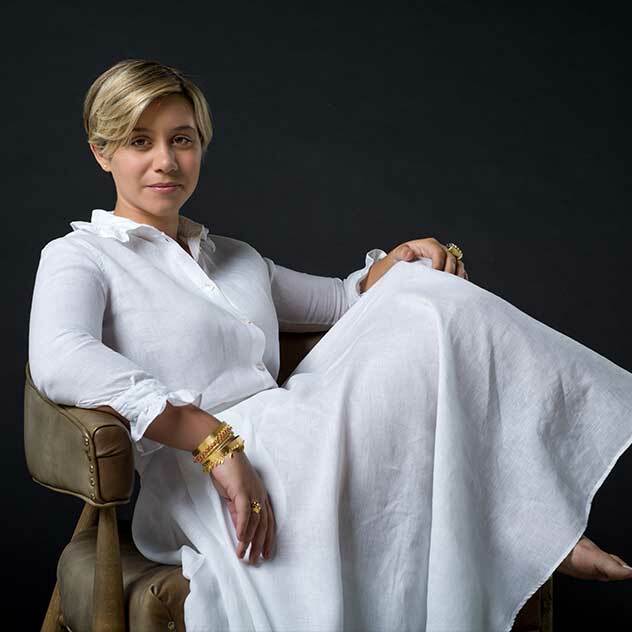 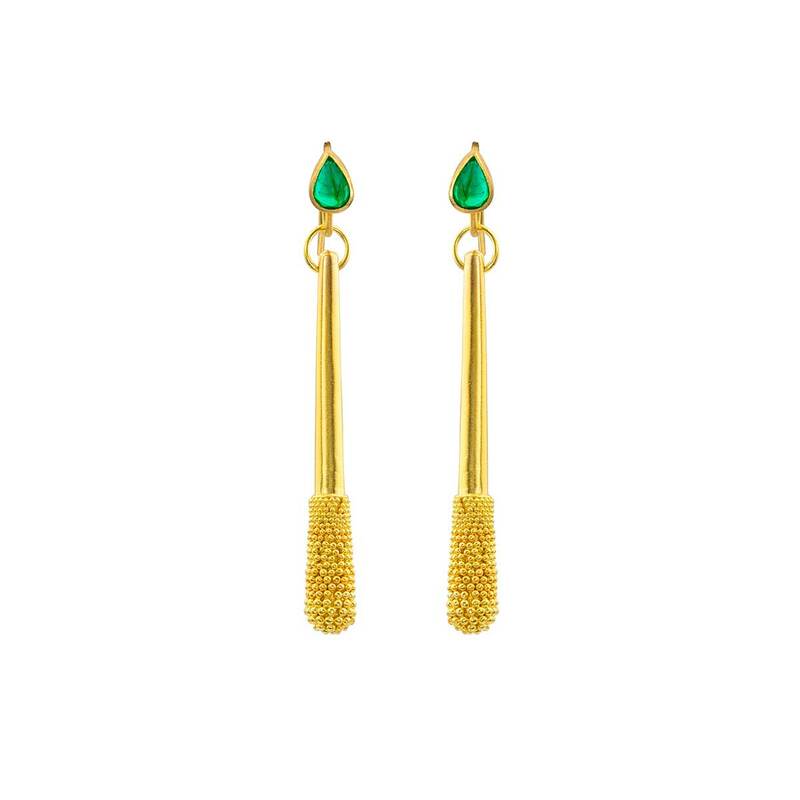 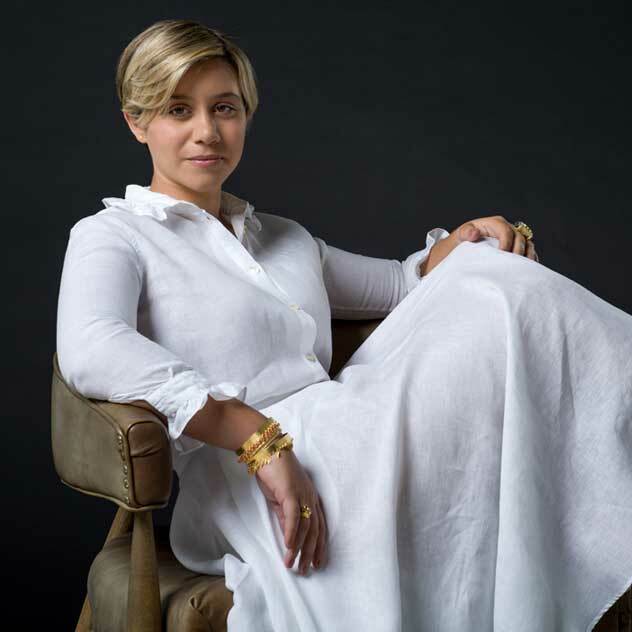 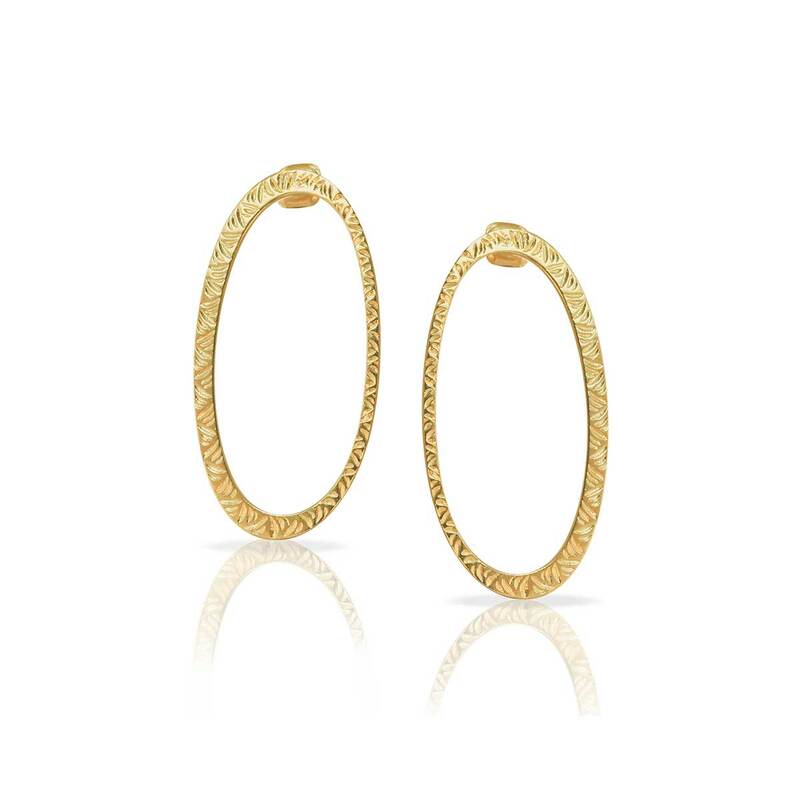 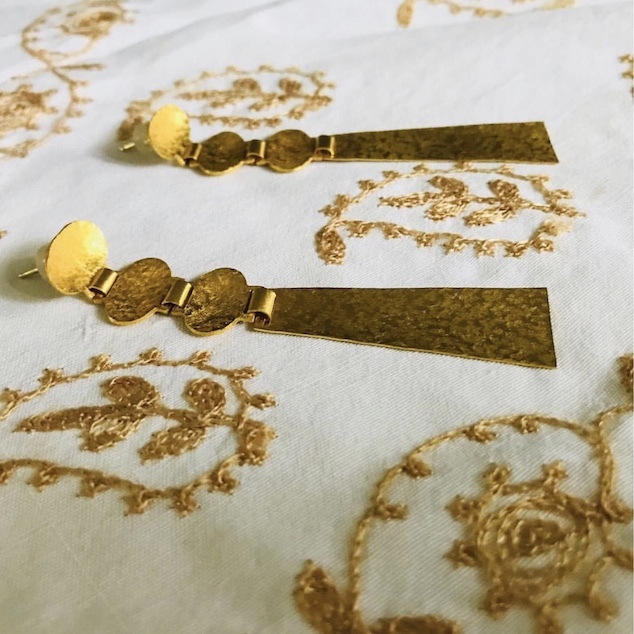 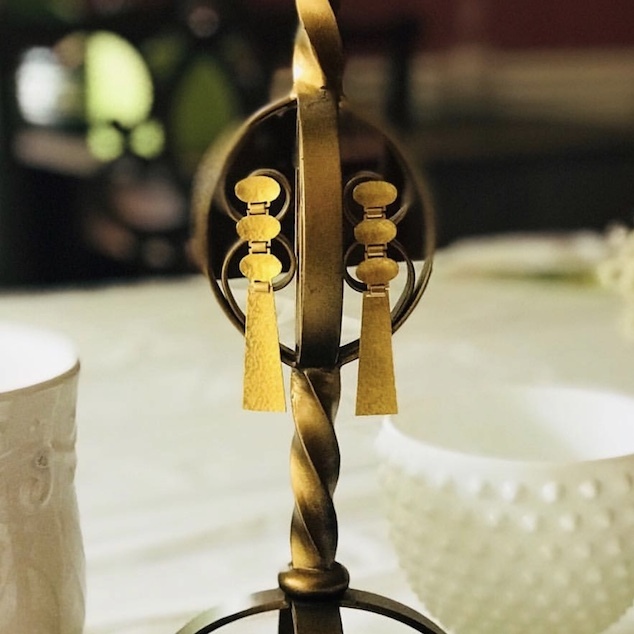 Bold and sophisticated, these richly textured 22K gold earrings from the Silla Collection are inspired by art forms from the ancient Korean kingdom of Silla and handmade in California. 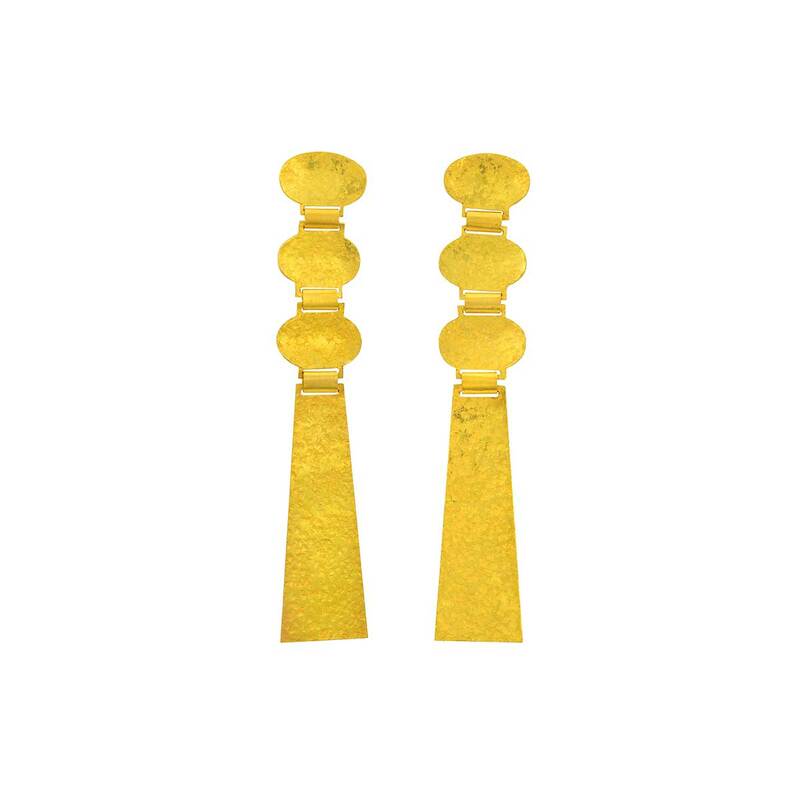 Earring length is 3 inches. 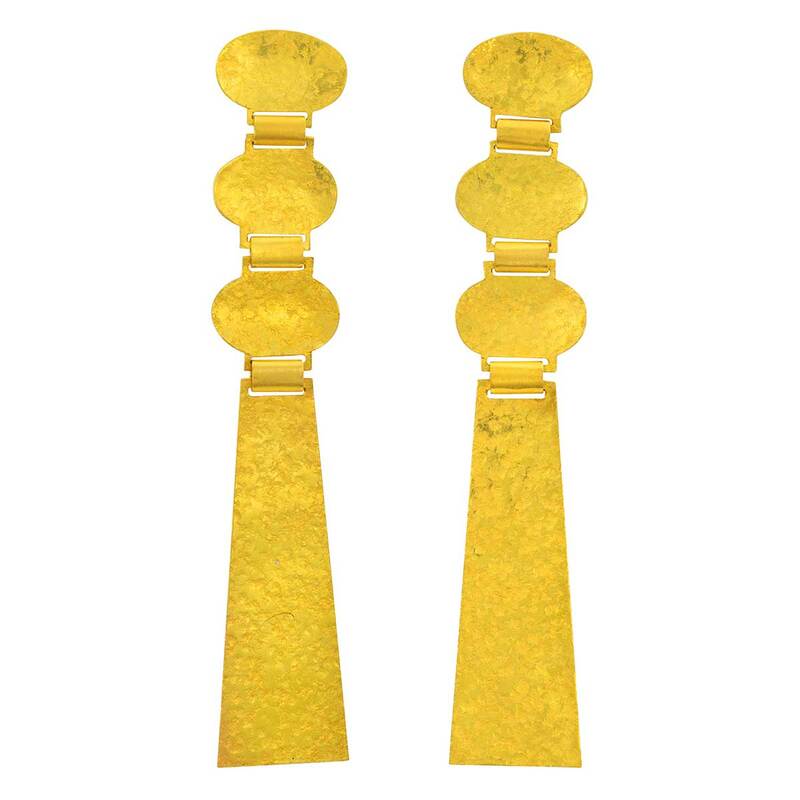 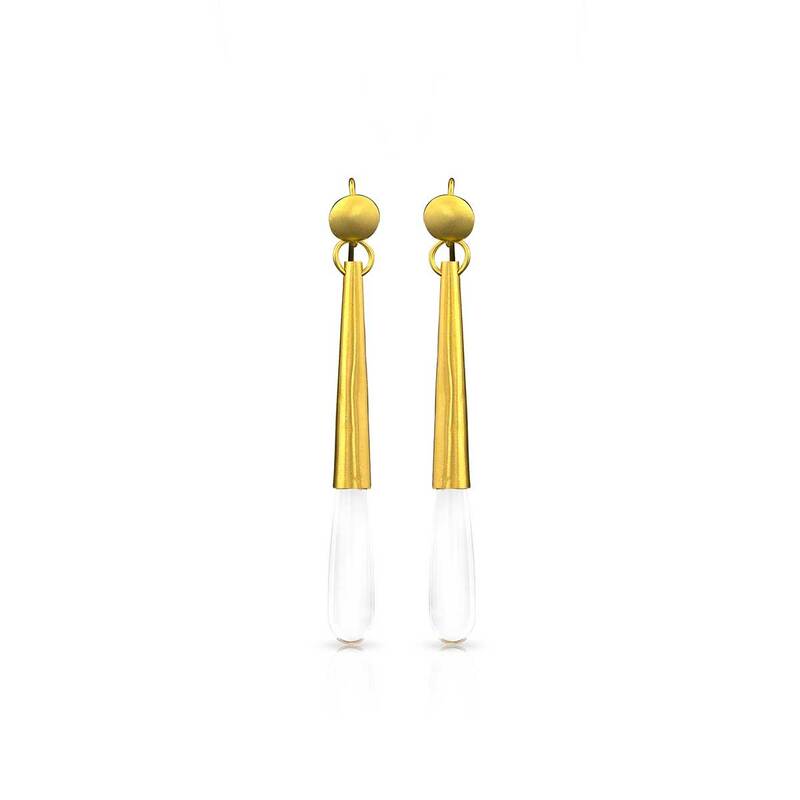 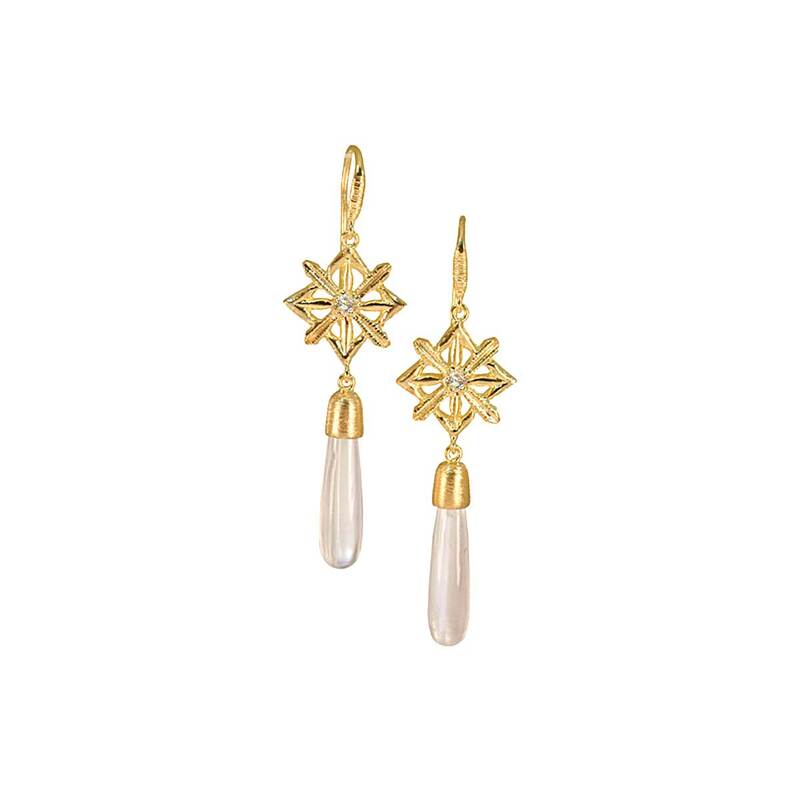 We love the understated detail of these statement earrings fit for any modern day goddess.